GTO London has emerged from its sister business GTO Engineering where classic Ferraris are restored, reconditioned and rebuilt. The family-run business has evolved through a long and passionate interest in classic motorcars and is what drives the thinking behind the GTO London brand. Working alongside the renowned GTO Engineering business, GTO London has unrestricted access to some of the world’s most rare and beautiful classic cars. 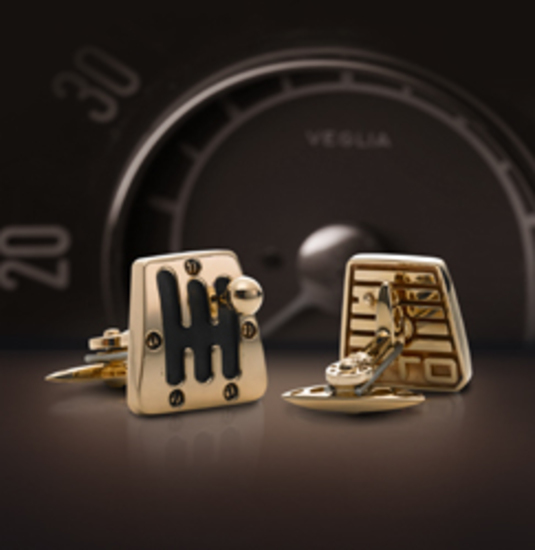 The range consists of cufflinks, tie-pins, money-clips, and leather goods all of which are inspired by the heritage designs of classic Ferrari models and their interior detailing. A limited, exclusive cufflink range, the Real Ferrari Metal range, is created by melting classic Ferrari parts which will allow one to own a part of the brand’s illustrious history. Each item is checked by GTO’s engineers to check for absolute precision and accuracy.